Post-holiday there are three words on everyone’s mind, “New Year’s Resolutions’. Though the giving season may have left your pockets a little emptier - that does not mean your schedule needs to be! Resolve to get out more; fill your calendar with fun art and cultural events around the city that spark your interest, but ones that don’t bust your budget. Check out a week full of affordable activities around Boston that you can indulge yourself in. There is an event for each day. Think of this blog as a user guide for fun and affordable ways to embrace the history and art scene that Boston has to offer. Check out one of Boston’s free offerings- the USS Constitution and Museum has free admission for adults Tuesday- Sunday. The USSS Constitution is located in the Charlestown Naval Yard - take some time and visit the preserved, and now restored, navy vessel nicknamed, “Old Ironsides”, docked on the Charles River. The nearby museum features interpretive exhibits and detailed historic information about the ship. You can also get great deals on local attractions using your Boston Library Card! The Isabella Steward Gardener museum is $5 for an entry pass. Located in the Fenway-Kenmore neighborhood of Boston, it is home to some of the most magnificent artwork in the world. With examples of European, Asian and American art - the museum is overflowing with sculpture and paintings; of all mediums. Very worth the visit - the beautiful art and history encapsulated in this building is enough to take your breath away! Still trying to get your museum fix? 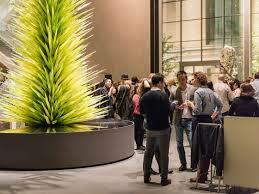 On Wednesday, the Museum of Fine Arts opens its doors to the public for a free admission after 4:00pm. The MFA also features free sketching of live models every Wednesday - a great interactive activity. So artists, come one and come all. Just don’t forget your drawing pencils! On Thursdays the ICA offers free admission to guests after 4:00pm. You can’t beat that deal! Very worth the trip - stroll through the beautiful Seaport/Waterfront areas, and enjoy a free guided-tour throughout the stunning exhibits on display. The Seaport also offers $5 movie night at the ShowPlace Icon Theatre on Tuesdays! Make sure to order your tickets beforehand - they can run out rapidly. This luxury movie theatre will surely suffice your needs - enjoy some buttery popcorn or a beverage, and sit back (easy to do on those retractable seats), relax, and enjoy the show! The Boston Library Card can get you more discounts than you would likely imagine - let’s not forget our friends at the Boston Aquarium and Zoo New England too! You can use your Boston Public Library card to obtain great discounts for entry into the Boston Aquarium. From September-June there are free passes available for up to 4 of your friends/family by using the BPL card. The Zoo New England offers incredible deals for entry-fee prices. These passes are discounted at $6 per adult, and only $4 per child. Admissions discounts are not the only deal at the Zoo New England. Concessions, as well as the gift store, offer a 10% discount for a group of up to 6 people - so make a day of it at the New England Zoo. Make 2019 a year of free, affordable, & informative fun! You can manage it here in Boston, but while still enjoying the vast number of inexpensive activities that this lovely city has to offer. So fill your schedules by checking out the museums, zoo, aquarium, and more! There is so much to see – make sure you embrace the activities Boston has to offer- a great goal for 2019!